When BMW joined the SUV market with the X5 back in 1999, little did we know that the German manufacturer will become such an important player in this segment. But in a little more than a decade, the Bavarian brand has launched no fewer than four different crossovers. Come 2018 and a flagship X7 is ready to join the lineup. The Bavarian brand made an announcement about the X7 in 2014, when it revealed that it will be built at the company’s plant in Spartanburg, South Carolina, which also produces the X3, X5, X5 M, X6, and X6 M models. There’s no word as to when the X7 will make its public debut, but it should break cover in the second half of 2018, most likely at the Paris or Los Angeles Auto Show. When it arrives in showrooms, it will become BMW’s largest offering yet and will enable the German manufacturer to compete against SUVs such as the Mercedes-Benz GLS, Range Rover, and even the Cadillac Escalade. Meanwhile, we have the X7 Concept, the brand-new X5, and a few X7 prototypes to give us some info on the upcoming SUV. Updated 07/16/2018: Our spy photographers caught the upcoming BMW X7 out in the wild again, and this time they were also able to snap some pictures of the interior too. 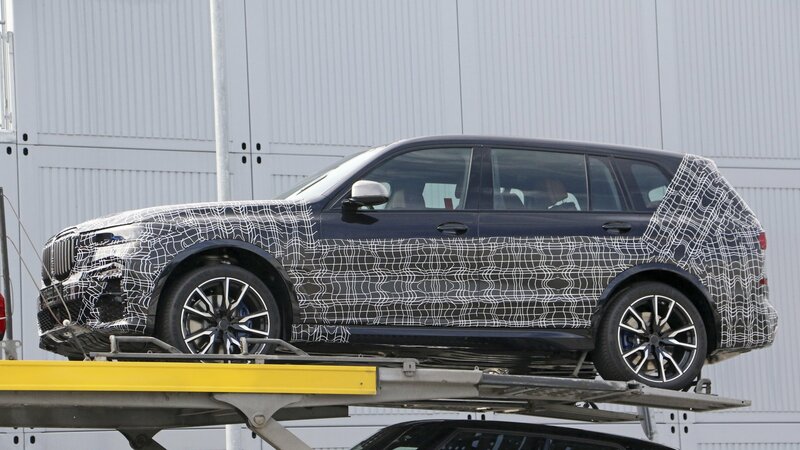 Continue reading to learn more about the upcoming BMW X7.